Welcome to boutique hotel Aisi! 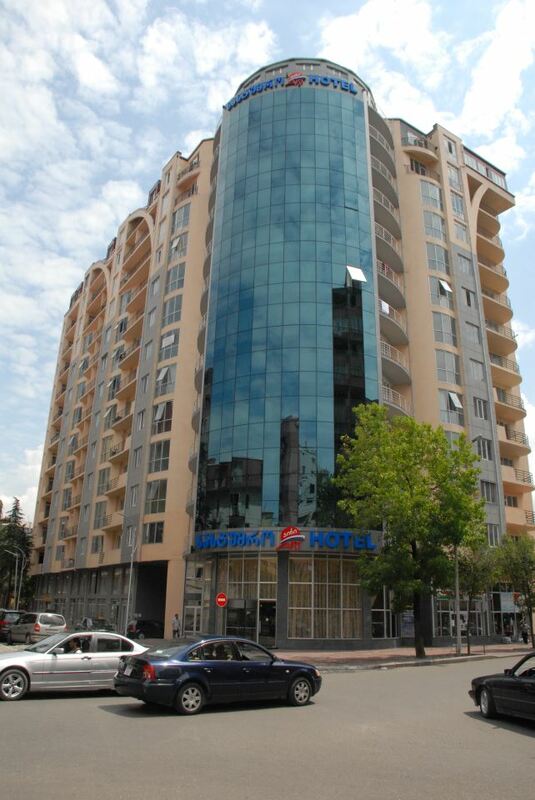 Hotel Aisi features central location in Batumi within 250 meters distance to the beach. 14-storey hotel offers 54 rooms of different categories: 35 Standard rooms,7 Superior rooms, 4 Family rooms, 3 Comfort Suite and 5 Econom rooms. All rooms are distinguished with comfortable and elegant interior. Each room is equipped with mini-bar, telephone, Wi-Fi internet, Cable TV, central heating, air conditioner, shower cabin, shower gel, shampoo, soap, fan, slippers, bath-robe. The hotel gives great possibility to enjoy wide variety of massage treatment or sport activities, billiard or other entertainment facilities. Cozy and elegant restaurant on the 13th floor offers delicious Georgian and European cuisine and beautiful panoramic views on Batumi and Black Sea. Our guests list includes many Georgian celebrities: Iliko Sukhishvili, Tamriko Chokhonelidze, Maia Jabua, Zura Khiphshidze, Vakhtang Kakhidze, Neka Sebiskveradze, Giorgi Khushitashvili, Maka Zambakhidze, Bacho Kajaia, Nodar Barbakadze, Giorgi Vardosanidze, Ruska Makhashvili and etc. Our guests are guaranteed with high level of comfort and exquisite service.